NEW! 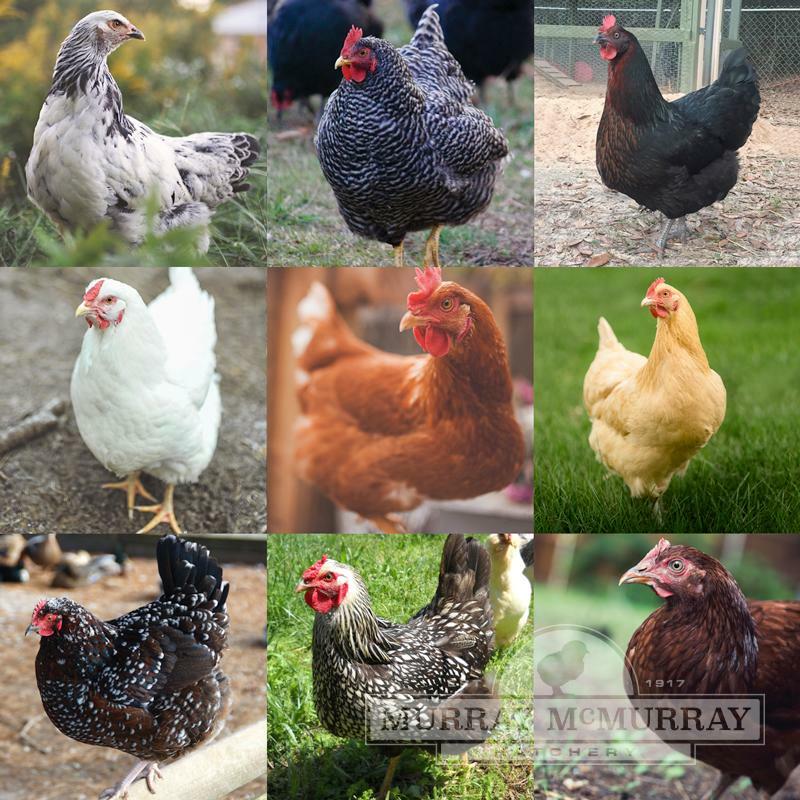 Starting in April, to meet the needs of our customers with limitations on the number of birds they are allowed, we are offering lower minimums on two of our best-selling assortments — Murray’s Choice Layer Assortment and our Brown Egg Layer Assortment. These two assortments are available now with a minimum order of JUST 10 CHICKS! If you aren’t set on a particular breed, this assortment will give you a variety of breeds that lay well. We’ll hand-select an assortment for you of white, tinted, and brown egg layers making a beautiful flock and a colorful egg basket. 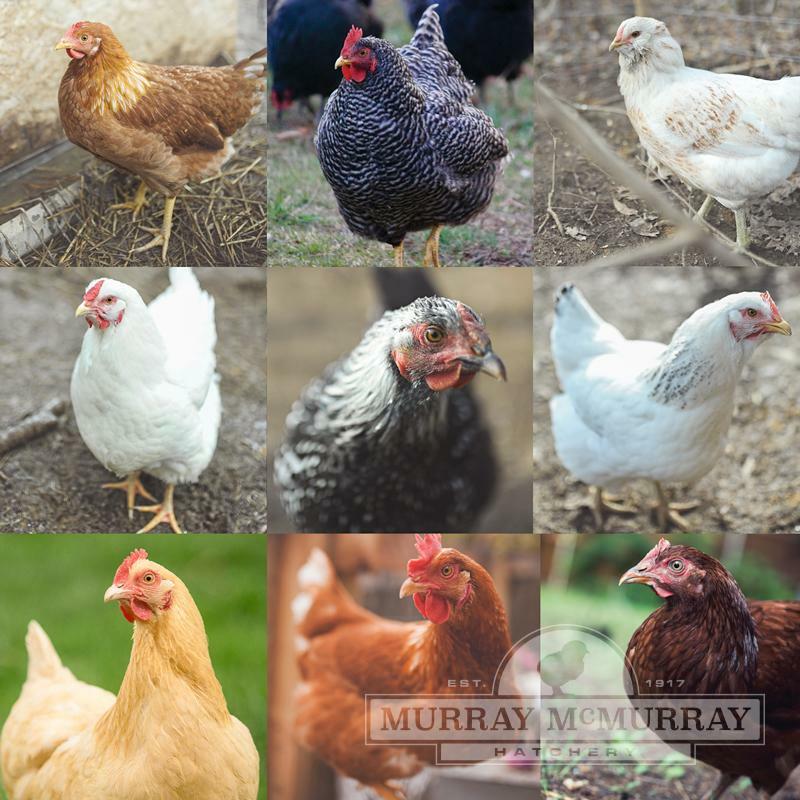 At least 5 different varieties (3 in an order of 10) of our choice are included in Murray’s Choice Layers from our White Egg Layers, Heavy Breeds, Ameraucanas, and Rare and Unusual Varieties. This assortment will give you good layers at a discounted price. If you prefer large brown eggs and don’t need a specific breed, our Brown Egg Layer Assortment is just what you’re looking for. 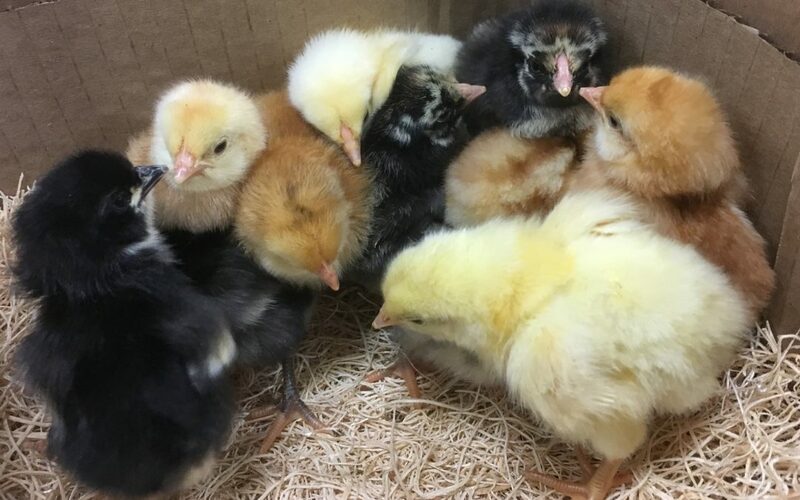 This popular chick assortment includes our choice of at least 5 different breeds (3 in an order of 10) which may include: Black Australorps, Light Brahmas, Dark Cornish, Black and White Giants, Buff and White Orpingtons, New Hampshires, Rhode Island Reds, Delaware, Rocks, Sussex, Turkens, Red and Black Stars, Wyandottes and more. These chicks will make a colorful and productive assortment of pullets. Just getting started? Don’t forget you’ll need a brooder to keep your baby chicks warm for the first few weeks. Our all new Platinum Starter Kit has everything you need to get your chicks started except the bedding. 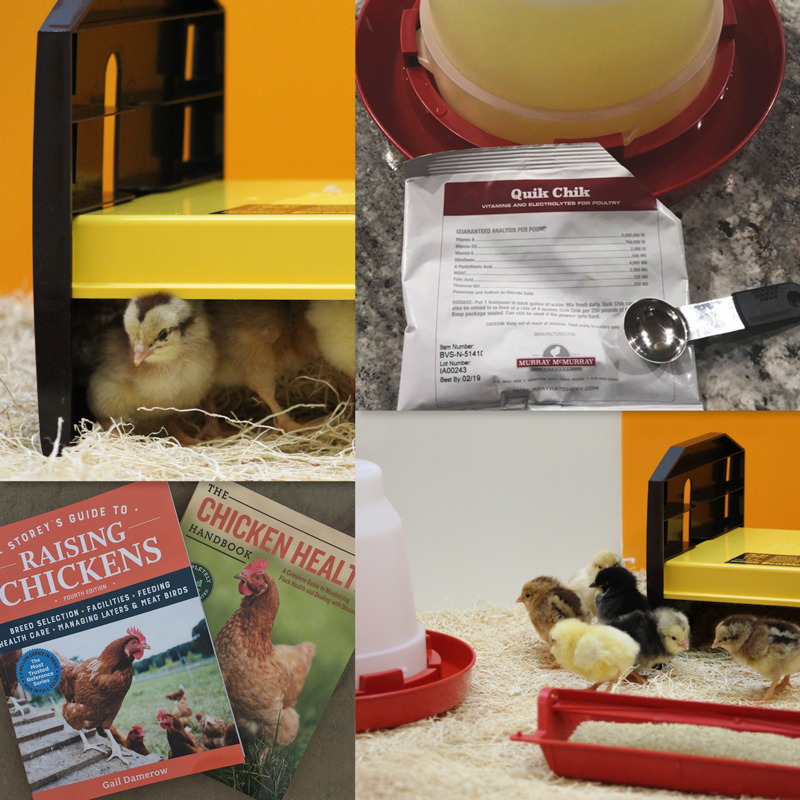 Featuring the EcoGlow 20, a safe radiant heat source, this kit is perfect for anyone new to owning backyard chickens. Need more space? Add more Chick Starter Home Panels for a larger space.